Why not create the perfect personalised gift – a tin of gin – for a relative, friend or colleague? Make them feel extra special with a thoughtful, hand-tailored tin of gin from Gin In A Tin: Gins of distinction, that speak volumes, in stylish tins. Personalised tins make ideal presents for a birthday, retirement, leaving, thank you, wedding or anniversary gift. Add any message, name or phrase (up to 34 characters, such as ”Happy 70th Birthday Rupert” to the label. 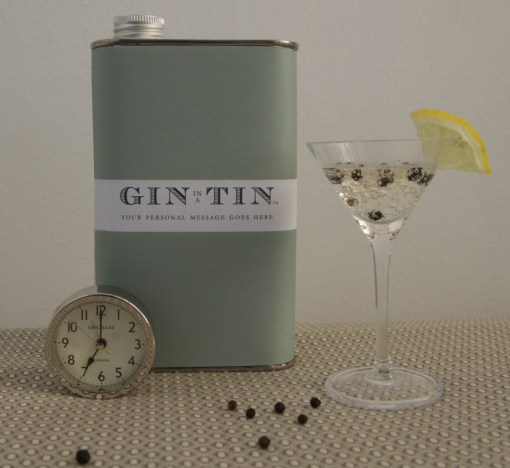 Make it bespoke, and an item to be cherished after all the delicious gin has been devoured! Inspired by the bounty of Spring, we have combined delicious botanicals with fresh rhubarb to create a British classic with a twist: Rhubarb Crumble Gin! 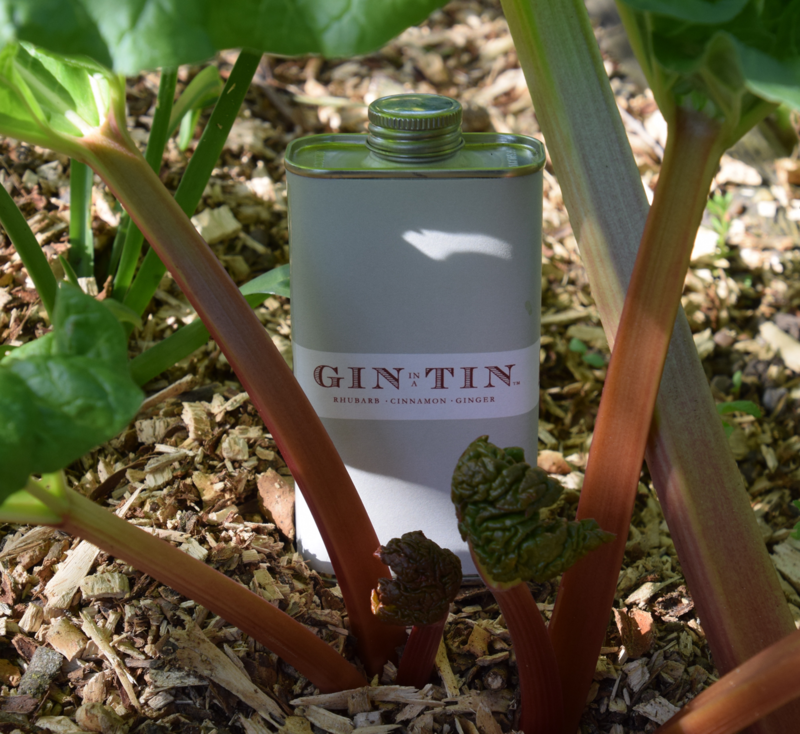 With subtle notes of rhubarb, cinnamon and ginger as well as many other botanicals centred around juniper berries we have created finest refreshing taste and this gin speaks volumes. Please note: There is a 3/4 day turn around time for personal product to be lovingly made.